What are you doing for Thanksgiving this year? Are you willing to do what it takes to make it a fun, meaningful, and positive experience? Share your thoughts, ideas, insights, actions, and more on my blog below. In the summer of 1998 I was in the midst of a major life transition. I’d blown out my pitching arm a little over a year earlier and had gotten released by the Kansas City Royals that March. I was home in Oakland, CA collecting workers comp insurance (and not working), recovering from simultaneous elbow and shoulder surgery that I’d had at the start of that summer, reeling from what was sure to be the end of my dream of becoming a Major League baseball player (even after my arm rehab was completed), and trying to figure out what to do with the rest of my life. Throughout that spring and summer, I read numerous self help books that inspired me – both by what I learned from them personally and also by the idea of being able to write books like that and help people myself. I would wander into bookstores and find myself drawn to the personal development section – both to look for new books for me to read and also because I had a deep yearning to be involved in that world myself. Given my age at the time, twenty-four, my lack of experience, and the fact that I had no idea how one would even begin a career as a self-help author and motivational speaker, I felt discouraged, scared, and confused. Being an author and a speaker one day seemed like a pipe-dream. And, in the weeks and months ahead I knew I’d need to make some important decisions about what to do and what specific steps to take as I ventured out into the “real world” for the very first time. On July 11th, 1998 I had a conversation on the phone with my Uncle Steve that as I look back on it now, was a pivotal moment in the course of my life and my work. That day on the phone, I shared with him some of my deepest fears, dreams, confusion, and desires for my life and my future. I told him that I thought I wanted to be an author and speaker who could help and inspire people, but that I didn’t know how to do that, where to start, or what I could do in my life right away that would lead me in that direction. This question that Steve asked me, while simple to understand, challenged me to my core – both inspiring me and scaring me at the same time. I wasn’t sure how to answer that question at the time, but thought about it quite a bit. I got a job that fall working for a dot-com, but my dream of writing, speaking, leading workshops, and coaching people stayed with me. Over those next few years, Steve would send me notes and post cards from time to time with just the words “Step Out” on them. It became a mantra for me. Even though I knew the job I had selling internet advertising was not my “calling,” I chose to be grateful for what I was learning and the money I was making. At the same time I began to look outside of my current job for places where I could “step out” towards my deeper passion and dream of helping people. I did this in as many ways as I could – taking workshops, volunteering, reaching out to established authors, speakers, and coaches, talking to people about my goals and dreams, reading books, and much more. When I got laid off from my dot-com in the middle of 2000 – Steve’s question reverberated within me deeply. I knew that the bold thing for me to do at that point, even though I still didn’t have a clue about how to go about it, was to “step out” of my “box,” take a huge leap, and do what I could to become a speaker, coach, and author. It wasn’t easy and there were many times I wanted to quit – but I kept challenging myself to be bold and to go for it, even when I didn’t think I could. It took me six months from the time I got laid off to launch my speaking and coaching business, another two or three years before I was able to establish myself in any significant way, and seven years before I published my first book. Stepping out of our own “box” is essential to living an authentic and fulfilled life. We often don’t think we’re “ready,” we may not know exactly what we’re supposed to do, and we almost never have a guarantee that things will work out. Will we get scared? Of course. Will we fail? Most likely, especially at first. As the cliche says, “no risk, no reward.” When we’re willing to put ourselves at risk and go for what we truly want in a bold way, amazing things can happen. Stepping out of our box in life doesn’t always involve something big like changing careers, moving to a new place, starting a business, ending a relationship, or traveling around the world (although it could). It simply means we’re willing to do, say, or act in a way that is new, different, and/or vulnerable. When we choose to push past our perceived limits and go for it in life – we always grow and learn, regardless of the outcome. As you do this, make sure to get support, have compassion, and be gentle with yourself in the process. While it can be scary and often counter-intuitive – we’re here to grow, expand, and evolve and one of the most important things we can do in this regard to is to step out of our box in a conscious and bold way! What are you willing to do today to step out of your box and go for what you really want in your life? Share your thoughts, ideas, insights, actions, and more on my blog below. Fear is something that we all experience, especially on our journey toward deeper authenticity, fulfillment, and success in life. Being who we really are, expressing ourselves boldly, and going for what we want in life can cause a great deal of fear in us. I get scared all the time – especially when I’m taking risks, doing new things, and putting myself out there. When I was younger I thought there was something really wrong with me because I would get so nervous – in sports, in school, in social settings, and more. I now understand that everyone else experiences their own version of the same basic fears I have (being judged, making mistakes, looking bad, failing, disappointing others, and more). It’s just part of being human. Many of us run away or hide from our fears because they seem scary, uncomfortable, or embarrassing. We also erroneously think we “shouldn’t” have them or we’re somehow “wrong” for feeling scared. However, most things that mean a lot to us in life don’t show up without any fear at all. And as we strive to live with authenticity, it’s inevitable that we’ll get scared along the way. – Admit it – Acknowledge your fear, tell the truth about it, and be real. When we feel scared and are willing to admit it with a sense of empathy and compassion for ourselves, it can often take the edge off and give us a little breathing room to begin with. – Own it – Take responsibility for your fear and own it as yours, not anyone else’s. We often have a tendency to blame others for doing or saying things that “scare” us. However, when we remember that no one else can “make” us scared – only we have that power – we take back the responsibility and the power of the fear and remember that it exists within us, so we are the only ones who can change it. – Feel it – Allow yourself to feel your fear, not just think about it or talk about it (something I often catch myself doing). Feel it in your body and allow yourself to go into the emotion of it, even if it is scary or uncomfortable. Like any emotion, when we feel our fear deeply and passionately, it has a way of dissipating. – Express it – Let it out. Speak, write, emote, move your body, yell, or do whatever you feel is necessary for you to do to express your fear. Similar to feeling any emotion with intensity, when we express emotions with intensity and passion, they move right through us. When we repress our emotions, they get stuck and can become debilitating and dangerous. – Visualize the positive outcomes you desire – Think about, speak out loud, write down, or even close your eyes and visualize how you want things to be and, more important, how you want to feel. If your fear is focused on something specific like your work, a relationship, money, etc. – visualize it being how you want it to be and allow yourself to feel how to ultimately want to feel. – Take action – Be willing to take bold and courageous actions, even if you’re still feeling nervous. Your legs may shake, your voice might quiver, but that doesn’’t have to stop you from saying what’s on your mind, taking a risk, making a request, trying something new, or being bold in a small or big way. Doing this is what builds confidence and allow us to move through our fear. What would you do or say if fear didn’t stop you? How can you move through your fear in a more authentic and effective way? Share your thoughts, ideas, insights, and more on my blog below. I have been so excited and inspired by this year’s baseball post-season and the big World Series victory by the San Francisco Giants. As a Bay Area native, a lifelong baseball fan, and someone who has been fortunate enough to have the Giants as a client this year, of course I was rooting for them with passion. The fact that the Giants had not won a World Series since moving from New York to San Francisco (in 1958) and that we haven’t had a major sport championship here in the Bay Area since the 49ers won the Super Bowl in 1994, made it that much more exciting and meaningful. But, the biggest reason I’ve so excited and inspired this year is because of this incredible San Francisco Giants TEAM. I’ve probably followed this season and this team as closely as any other sports team or season in my entire life – and, for me, that’s saying a lot. With their great young pitching staff, cast of interesting and unique characters, and lack of huge superstars and egos, I liked them a lot, right from the start of the season – and began to fall in love with them as the season went on. It wasn’t simply because they won games, which they did (although not excessively or even impressively at times); it was how they won their games and, more important, how they played the game and worked as a team that impressed me most. This team is an inspiration, not just to baseball fans, young kids who play the game, or people who are into sports in general – but for any and all of us who have to work with others (which most of do) to get things done in our work, our family, our community, and our life. No one expected this team to win the World Series – they didn’t have the talent, experience, or make-up to become champions, said the “experts.” But, they did it anyway and took all of us who followed them this year on the ride of our baseball lives watching them do so. As someone who is passionate about teamwork, loves working with teams myself, and gets hired to speak about and train people to effectively team up with each other, I believe this year’s San Francisco Giants put on a clinic all season long (and especially these past few weeks) in what teamwork should look like. 1) Be Who You Are – Authenticity is essential in life and in building successful teams. It’s okay and often important to be a little different, to do things your own way, and to give people on your team the space to be themselves. This year’s San Francisco Giants were made of a somewhat strange array of characters – from Brian Wilson, to Aubrey Huff, to Tim Lincecum, to Juan Uribe, and on down the line. They didn’t always look like champions and often did and said some pretty odd and quirky things, but it all worked, kept them loose, and helped them bond with each other and the city of San Francisco. For us to create a strong team around us we have to remember to be ourselves and allow the team to take on its own unique personality. 2) It’s More About Heart Than Talent – The Giants were a team that didn’t always look good on paper, which is why they were often counted out by the so called “experts.” Even with their great young pitching staff, their lineup didn’t include any superstars or big sluggers. They called themselves “misfits and castoffs” – as many of them had been let go by other teams and had been given up on in the process. They beat many teams during the regular season and definitely in the post-season who had much more talent than they did. However, they exemplified the importance of heart in the way they played and won games – doing whatever it took to get it done. Guys like Cody Ross, Edgar Renteria, Juan Uribe, Aubrey Huff, Andres Torres, and others showed us how to play with heart and like a champion, even if the guys on the other team had more talent than they did. 3) Play For Each Other – Larry Baer, the President of the San Francisco Giants (someone I’ve had the honor of getting to know a bit this year), said something important about this team in an interview he did after they won the National League Pennant. He said, “These guys do more than play with each other, they play for each other.” Larry was right and that is such an important and unique quality for a team to have. Playing with each other is essential to success. But, becoming a truly great team requires us to play for one another. Playing for others means we have each other’s backs, we’re there for our teammates, and we want to succeed for the people around us (in addition to ourselves) in a way that inspires greatness and excellence in all of us. 4) Don’t Listen to the Naysayers – In life, business, and, of course, baseball there are always naysayers – people who don’t think you and those around you can do it. The Giants had many naysayers, in fact they didn’t usually even get mentioned as real contenders for much of the season and were written off many times, even during the World Series, which they won handily. It’s a good thing (for them and all of their fans) that they didn’t listen to those naysayers. As Eleanor Roosevelt so eloquently said, “No one has the power to make me feel inferior without my permission.” While it can be important and helpful to get feedback from others, especially critical feedback, listening to critics and naysayers who don’t believe in your and your team will never benefit you and those around you. 5) Be Creative and Flexible – The San Francisco Giants had to be quite creative and flexible throughout the entire season and all through the post season in order to win. They brought in new players, adjusted their lineup (even in the World Series), and did whatever they had to do to get the job done. Change can be challenging and stressful for a team, but in most cases it’s essential for success. We can’t get fixed into thinking things can only be done a certain way or that everyone has to maintain their same role throughout the entire process – that’s not how life, business, or baseball truly works. 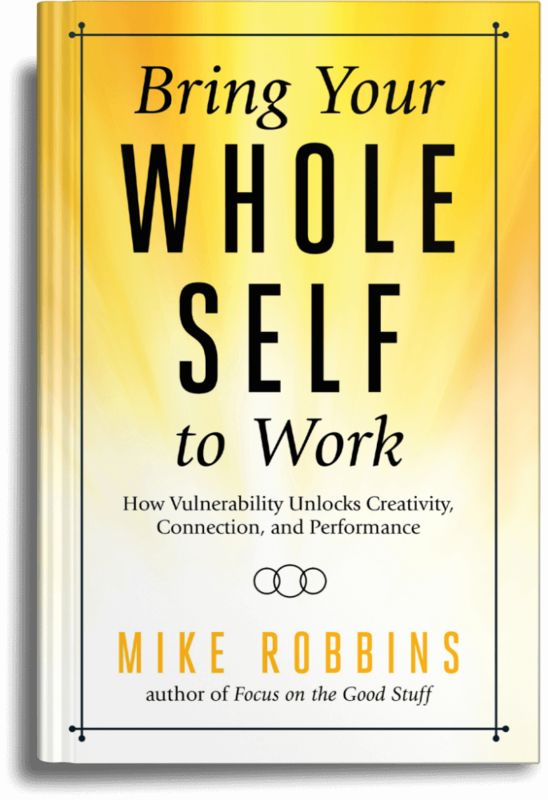 Our ability to be flexible and creative is often directly related to our ability to create success and fulfillment for ourselves and our team. As an example of this, both Cody Ross and Edgar Renteria (who were each named the MVP of the NLCS and World Series respectively), didn’t even play that much down the stretch, but stepped up when called upon and delivered. 6) Have Fun and Don’t Take Yourself Too Seriously – For us to have success on an individual and group level, we have to have some fun. The San Francisco Giants had fun all year long, especially in the post season. They knew the importance of what they were doing, but never lost their sense of humor and didn’t take themselves too seriously in the process. Whether it was Aubrey Huff’s “rally thong,” Brian Wilson’s black dyed beard and crazy interviews, or Tim Lincecum’s hair and language – these guys always seemed to have a good time, which kept them loose and made it that much more fun to root for them. The more fun we have, the more relaxed we are…and the better we perform and bond with those around us. 7) Appreciate Each Other – One of, if not the, most important aspects of being a true championship team (in my humble opinion), is the ability to appreciate those around you. Understanding and exercising the power of appreciation makes everyone around you feel good, know they’re valued, and helps bring out the best in each person. If you listened to their post-game interviews throughout the year, in the playoffs, and especially after the final game of the World Series, the San Francisco Giants understood and embodied appreciation for one another. They praised each other, gave credit to one another, and pumped each other up – in an authentic way. It’s one thing to pay lip service to appreciation and it’s another thing altogether to do it genuinely. They truly put their egos aside in so many ways, did what they had to do to win, and appreciated each other along the way. Given the nature of their team, the shortcomings they had, and the adversity they almost always seemed to find themselves in – they had to count on each other and appreciate each other’s talent, because without that synergy and support, they never would have become World Series Champions. I’m grateful to the San Francisco Giants for not only playing so well this year, but for playing the way they did. It was an inspiration to watch and they are (and will always remain) a beautiful and powerful example of what can happen when a group of individuals come together and truly play as a team. Not only did they win a championship and inspire a city, they taught us all a great deal about the art of teamwork and for that I salute them as the true champions they are! What have you learned about teamwork from watching the San Francisco Giants win the World Series? What can you do to be an even better team player in your work, your family, your community, and your life? Share your thoughts, ideas, insights, and more on my blog below.